Progress Lighting Linear Fluorescent Bath Collection 2-Light slim linear fluorescent bath fixture in white finish, features steel construction. 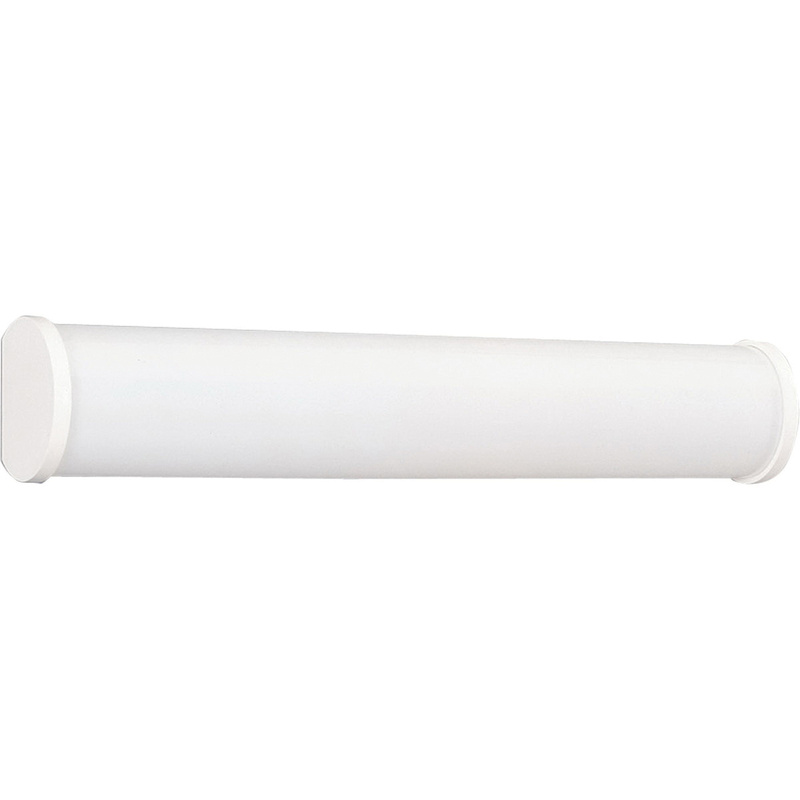 The extruded white acrylic diffuser measuring 23-Inch x 2-7/8-Inch, creates soft light to the surrounding. This contemporary/modern style fixture uses two 17-Watt bi-pin twist-in F17T8 lamps. Lamp of this fixture features HPF electronic ballast that regulates the current flow. It measures 25-5/8-Inch x 4-Inch x 4-3/4-Inch. This wall mountable fixture comes with 6-Inch lead wire for hassle-free installation. It is ideal for bathroom lighting. Fixture is UL/cUL listed.